Manufacturer of race-winning Grappler off-road tires rolls forward in support of Ultra4’s premier event as Title Sponsor of the 9th Annual King of the Hammers. Proven winner Nitto Grappler light-truck tires officially aligned with toughest one-day off-road race in the USA. Nitto involvement escalates from 2014 Presenting Sponsor to 2015 Title Sponsor. Nitto-powered LiveAtKOH.com website provides new level of social interaction to the race. 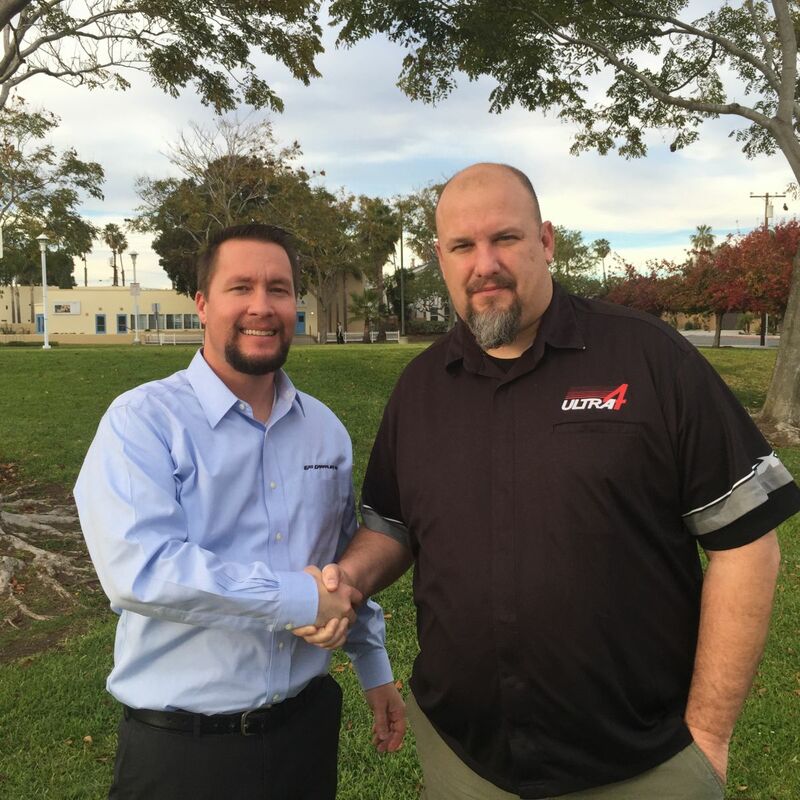 Cypress, Calif. (January 8, 2015) – On December 22, 2014, Nitto Tire U.S.A. signed an agreement with Hammerking Productions (Ultra4) to be title sponsor of the 2015 Nitto King of the Hammers (KOH) race. Nitto Tire was previously the race’s presenting sponsor. The King of the Hammers race is recognized as America’s toughest one-day event in off-road racing and covers 200+ miles on a course that combines triple-digit-speed desert sections with technical boulder climbs that often require winching. 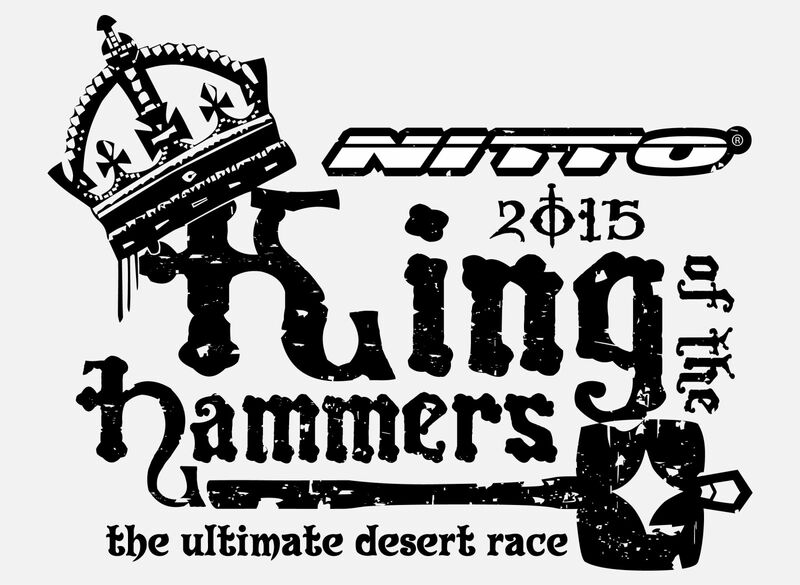 The 2015 running – the ninth annual King of the Hammers — will be the first one with Nitto Tire as the title sponsor. The Nitto King of the Hammers race for the unlimited Ultra4 vehicles takes place on February 6, 2015, in Johnson Valley, California. “Hammertown” on Means Dry Lake will open on January 30to kick off a full week of ultimate desert and rock action. Competition begins with the King of the Motos race on February 1-2. The carnage-fest East/West Shootout on February 2 pits Southeastern Rock Racing Series (SRRS) drivers against Ultra4 racers in an obstacle course challenge. Competition continues on February 4 with the Polaris KOH UTV race. Street-based 4x4s hit the course on February 5 for the Smittybilt Everyman Challenge. The action peaks on Friday February 6 with the main event: The Nitto Tire King of the Hammers race. Competitors will spend all day (and part of the night for the non-front-runners) on the approximately 225-mile course. Some sections are conducive to triple-digit speeds while the rock obstacles can knock competitors out of the race in slow-motion rollovers and broken parts. The “King” will be officially crowned on Saturday morning, followed by new-for-2015 “KOH The Experience” enthusiast trail rides. Nitto-powered social media for the event is now live: LiveAtKOH.com and #LiveAtKOH will provide social interaction and updates before, during, and after King of the Hammers 2015. For more information about the 2015 Nitto King of the Hammers, please visit Ultra4Racing. To learn more about Nitto Tire, please visit Nitto on Facebook at www.facebook.com/NittoTire, on Twitter at @NittoTire, on YouTube at www.youtube.com/NittoChannel, or at www.nittotire.com.